This is another recipe from Skinnytaste...a new favorite recipe spot for me! 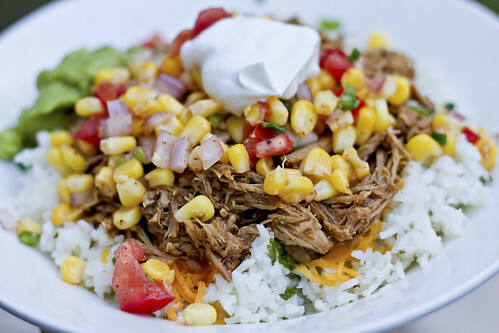 Slow cooker meals are always a hit for me and this one was AMAZING! I love Chipotle and this definitely hit the spot. We served it on the Cilantro Lime Rice (recipe below) with the Corn Salsa on top, burrito bowl style. Delish!